Designs for Birmingham’s oldest nightclub have been revealed ahead of a £2 million move across the city centre. 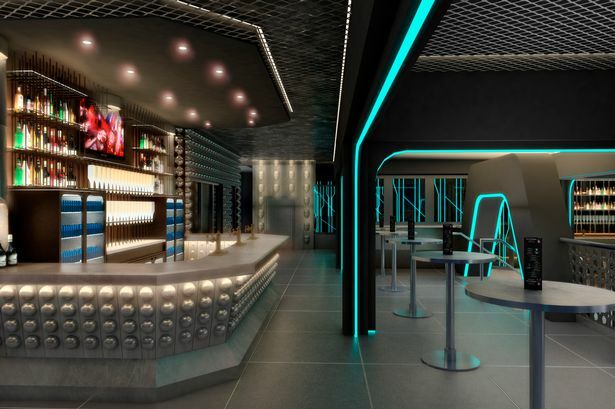 The new Snobs nightclub will include a sci-fi décor designed to mirror Doctor Who’s Tardis and a recreation of the old club’s famous wall of faces. The club will trade Paradise Circus for the old Vudu Club in Smallbrook Queensway this summer as its old home is redeveloped. Club owner Wayne Tracey said while he wanted the new larger venue to look more futuristic, the layout would still be reminiscent of its old base of 41 years. He said painstaking efforts had been made to recreate Snobs’ atmosphere, including a dipped dancefloor and matching room layout. “It was very important to us that we kept the same feel to the place,” Mr Tracey said. “The Tardis effect inspired by Dr Who and the faces on the wall were an absolute necessity to take with us. They gave Snobs a certain feel that is crucial to transfer. “We want people to come here and still feel like they’re in Snobs, but at the same time know a real effort has been made to bring the venue into the modern era. “It’s the same staff, the same drinks, the same prices and the same music. The same atmosphere. “But we’ve given it a more futuristic design. The lighting has gone through a complete change with a blue LED strip running through the main room, giving the place a more up-to-date feel. Snobs had been expected to move in April, but will now relocate later in the summer. However, Mr Tracey insists there will be no closure period between the switch. The move will see the capacity of the nightclub double and dozens of new jobs created. The owners had, however, been reluctant to move, but accepted defeat after the vibrations caused by the loud music proved a problem in its current base, the Beneficial Building, which was the first pre-cast concrete building to be built in Birmingham. Mr Tracey added: We’re trying our best to just pick this place up and drop it down the road. The move comes as a result of a £16 million redevelopment plan by Gethar Ventures which will see the Beneficial Building turned into a four-star apartment hotel which will also house the biggest coffee outlet in Birmingham. Anthony McCourt, director of Gethar Ventures, said: “We worked extensively with architects and structural engineers to examine if there was a way the club could remain in its current location as the major redevelopment of Paradise Circus happens, but it proved technically impossible.